This release was sold together with Belgian magazine 'Humo'. 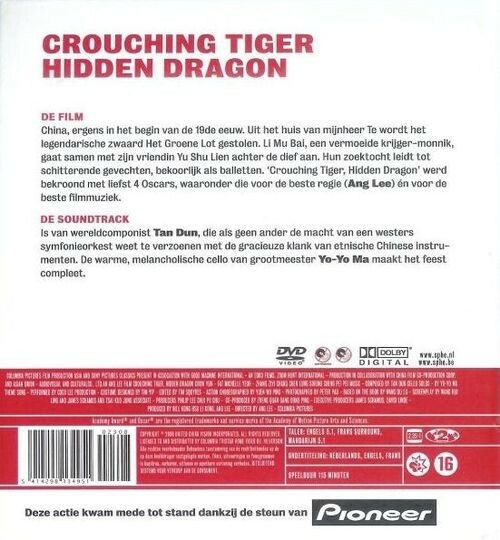 'Crouching Tiger Hidden Dragon' is the first part in Humo's 'Film + Soundtrack' series. It comes in a mini hardcover book which contains info about the movie, the soundtrack, the director, the actors, some trivia about the movie and the awards it received.